For over 60 years Wilson Timbers has been supplying quality timber, building materials and hardware to professional and owner builders, as well as the DIY renovator. 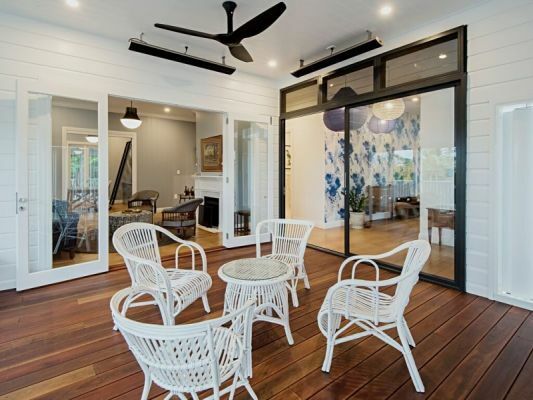 We are famous for stocking a large range of Australian hardwoods for structural & decking applications as well as composite decking alternatives. Our product offering also includes insulated roofing, softwoods for both internal and external use, an extensive fibre cement range to suit every application, a large choice of mouldings, heritage products, chamfer and weatherboards, screening, engineered wood products and much more. Purchase a timber deck and be in the draw to win your Tanacoat decking oil for free from our Tanacare range. Drawn on 13th May 2019. Purchase a Trex Composite Deck and receive a FREE High Pressure Washer! Visit us at stand C34 for more info on the World's #1 Composite Decking. 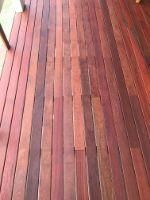 Australian Royal Reds Hardwood Decking. Grooved for DeckMate DIY's Concealed Fix Decking System. "As seen on Ready Set Reno!" See stand C34 for price.